Is your business’ website optimized for local searches? Local Search Engine Optimization (SEO) is crucial for helping nearby customers find your business. Not taking care with this aspect of your site can result in lost sales and conversions. Fortunately, there’s an easy way to improve local SEO by using Google Maps. In particular, businesses with a specific location can benefit from adding a map to their sites. Aside from improving SEO, making smart use of Google Maps can confer many other advantages, such as helping people visualize where your business or event is and more effectively engaging your audience. 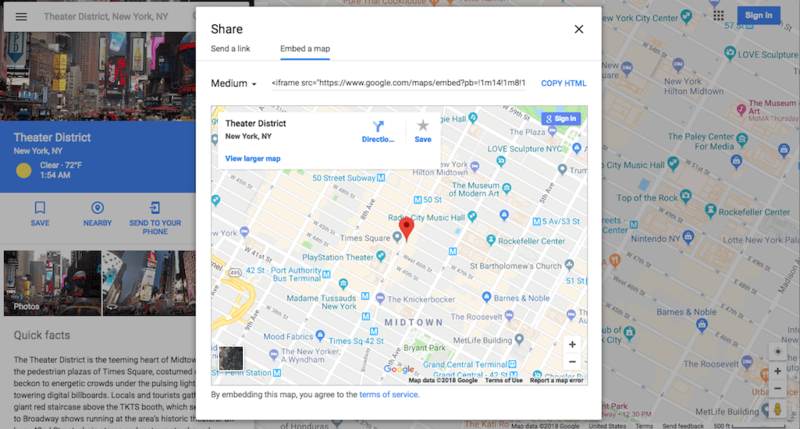 This article will discuss three different ways to add a Google Map to your website – via a widget, plugin, or manual HTML embed. Let’s get started! You may be wondering why you should use Google Maps, rather than just listing an address on your website. While there are many potential reasons – maybe you want to illustrate your super cool road trip, or show where your ten favorite ice cream spots are – Google Maps is especially crucial to businesses with a physical address, such as retail stores and restaurants. Improve local Search Engine Optimization (SEO). Adding a Google Map to your About Us page is a smart way to improve local SEO. If you add a map to your pizzeria’s website, for example, people searching for “pizza” nearby will be more likely to see it. Highlight your glowing reviews. An embedded Google Map can link straight to your business’ Google reviews. If they’re mostly positive, you’ll want to take this opportunity to show them off. Boost interactivity. Search engines measure how much people interact with your website. People tend to be fascinated with interactive plugins like Google Maps – they can scroll and zoom around the map, and see if your business is close to other places they like to go. Plus, when people spend more time on your site, that also improves your search rankings. 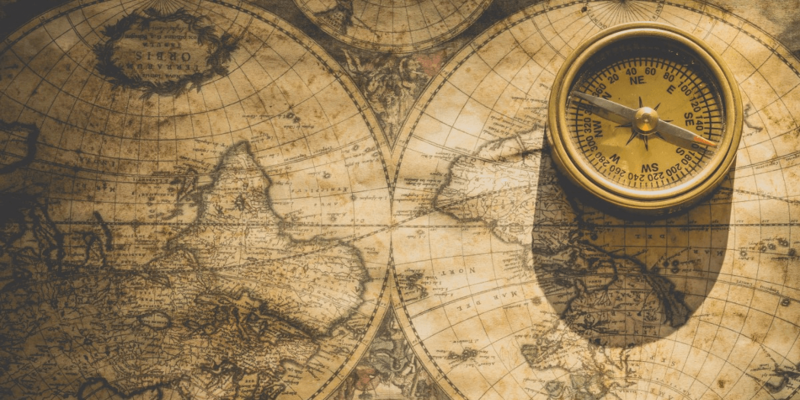 While Google Maps isn’t the only option for adding a map to your site, it has the benefit of being familiar to most of your visitors (and providing lots of handy features). With that in mind, let’s look at how this type of integration works in practice. 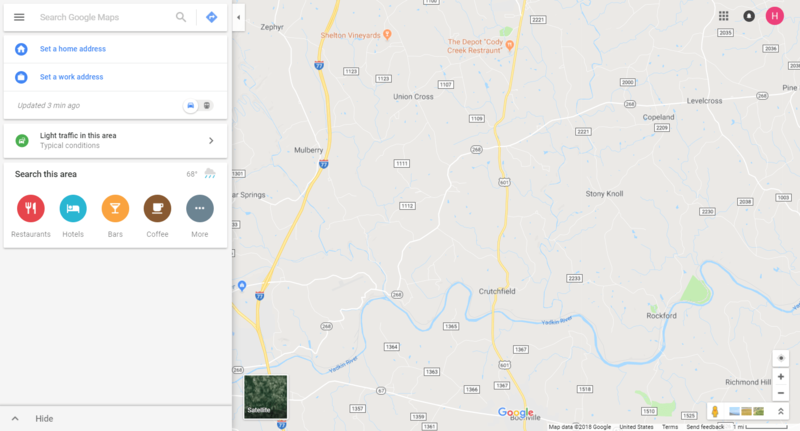 Now that you understand the potential benefits of using Google Maps, it’s time to see how to add one to your WordPress site. There are three main ways to do this: you can use a widget, a plugin, or an HTML embed. Let’s explore each method in turn! WordPress ‘widgets’ are simple-to-use modules that can be placed in specific areas on your site (such as your sidebar or footer). Widgets are streamlined and simple to use, which makes them perfect for beginners. The downside is that, as we just mentioned, widgets can only go in certain places that are predetermined by your theme. Therefore, they can’t be embedded within blog posts or pages. If you’re okay with adding your map to the sidebar or footer area, however, this method can be ideal. Choose Google Maps from the Available Widgets section, and drag it into one of your theme’s widget areas. Once the widget has been placed, you can check out your new map on the front end. There are also a few settings within the widget element itself, which you can customize to meet your needs. If you want more flexibility over where your map is placed, you may want to opt for a dedicated plugin. The WP Google Maps plugin, for example, enables you to create custom maps and generate shortcodes for them. Shortcodes are a simple way to add features to your WordPress posts or pages. Like widgets, shortcodes require little to no technical knowledge. In addition, with this plugin you can add multiple markers to your map, choose from various themes, and even add a store locator. You can go through the various options here, in order to customize your map’s size, location, and more. Once your map is set up, don’t forget to save it. Then, locate its shortcode under Maps > General Settings > Shortcode. Copy this snippet of code, and paste it into any page, post, or other content type. This lets you place your map just about anywhere you want. Even though the plugin featured above comes packed with many features, it’s not infinitely customizable. If you have very specific requirements, you may want to position your map manually instead. Just remember that HTML needs to be pasted directly into the Text tab of the WordPress editor. In addition, you should only use HTML embeds if you’re familiar with the basics of the language. Adding a Google Map to your website is much more compelling and interactive than simply listing an address. It can also improve your site’s local SEO, provide easy directions, and highlight your business’ positive reviews. A Google Maps widget. This method simple to use, but you are a bit limited in where your map can be placed. The WP Google Maps plugin. This tool is highly customizable and simple to use, and it lets you position your map in any post or page. Manual HTML embeds. Although this is the most complicated method, and requires some technical knowledge, it’s by far the most customizable option. Are you still not sure which method to use when adding a Google Map to your website? Ask us anything in the comments section below!